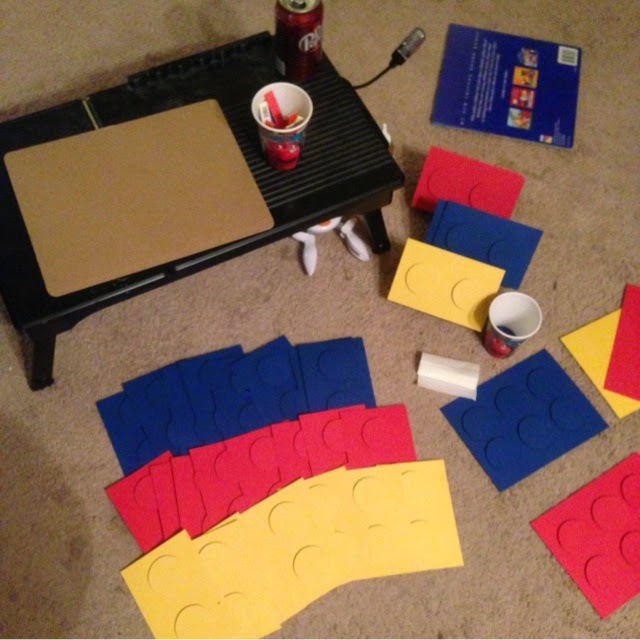 The Teacup Cottage Blog: Lego and Have Some Creative Fun!! Lego and Have Some Creative Fun!! Hello All! Well, I have clearly been away for a few days, but it's because I was working on a fun project ... or two. 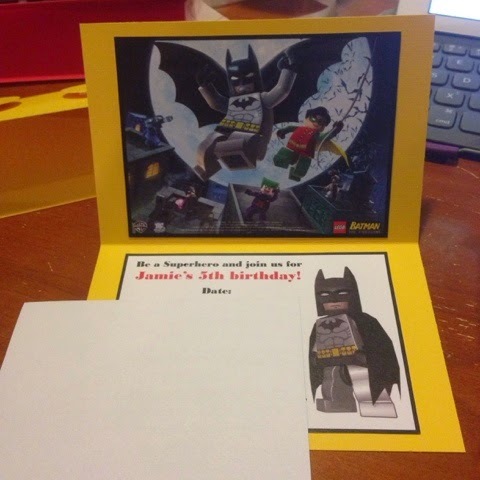 First of all, The Lil Monkey decided that he wanted a Lego-themed birthday party this year. Unfortunately, there is very little Lego-themed party stuff, other than the Lego Movie and Lil Monkey prefers the Lego Marvel Superheros. After a little bit of searching, I found a rather simple plan for making invitations and thank you cards, so with a little creativity and digital cutting and pasting, I figured out something that he blessed with his approval. You may have seen these before, and may have already figured out how to do it without step-by-step instructions, but here is what I did. 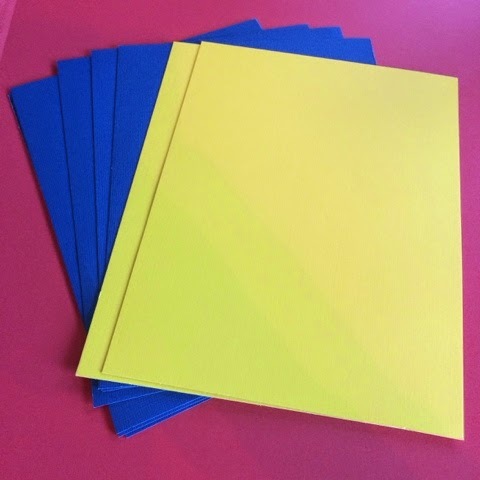 Step 1: First I purchased several sheets each of red, blue and yellow 12x12-inch scrapbook pages. Each page provided for 2 invitations with space for extra circles. 2: I cut each paper at 8 inches, then cut that in half at 6 inches. The final pieces were 6x8-inches. 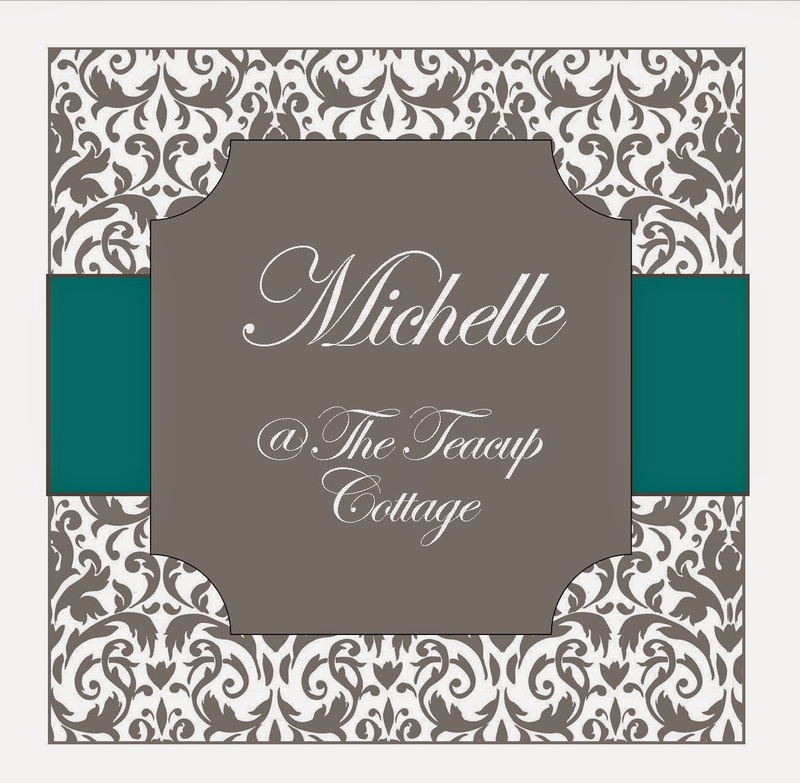 Step 3: I took the 6x8-inch pieces and folded it in half making the 4x6-inch invitations. Step 4: Next i took the 4-inch strip that was left over from the original cuts and used my Fiskars 2-inch circle hole punch and cut out circles. 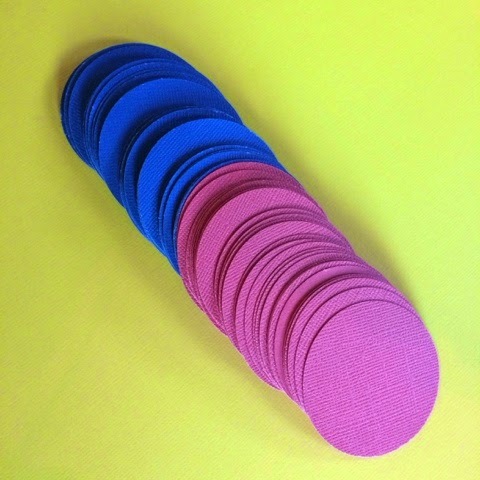 You need two for each invitation, but there is enough to make extras. Save those for later projects. 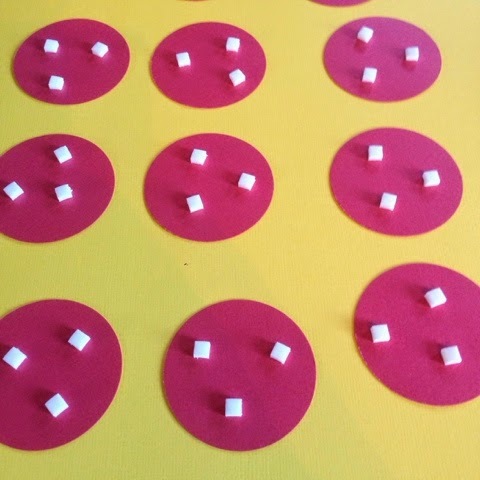 Step 5: I added 3-dimensional adhesive squares to the back of the circles. 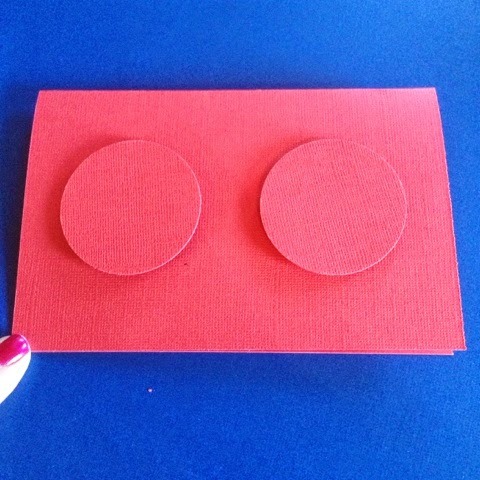 I added two circles on the front of each folded invitation. This is the final outside of the invitations. Step 6: I used stock photos from the internet and created the information for the party. I made them 3.5x5 inches so they fit inside. I also used a stock photo and made a photo to put on top. I printed them on 65-weight card-stock, but you may be able to print on photo paper. I then glued them to the inside of the folded invitation. This is what my work area looked like by the time I finished. 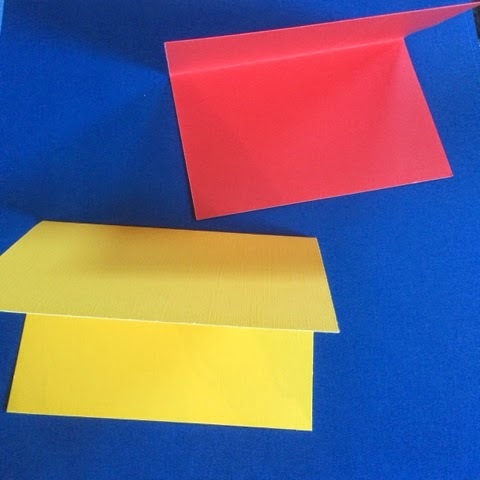 I made thank you cards using the same techniques except I cut them at 4x6-inches and left them flat instead of folding them. The invitations were a hit. Everyone loved them. Next I have decorations and gift bags, so I'll post those as I get them done.